The quintessential diva, Maria Callas was renowned not just for her beautiful singing, but also for her superb acting. The short-lived Greek-American star was born in New York City in 1923. She studied music in Greece and first emerged on the operatic stage in Italy. Callas is widely regarded as one of the great interpreters of the 19th-century bel canto technique, singing virtually all the major Donizetti, Bellini, and Rossini soprano roles. A recording of her singing the title role of Puccini’s Tosca in 1952 is still considered the gold standard. In fact, the recording itself has a Wikipedia page. Her story is often colored by over-exaggerated tales of controversy, love affairs, and her capricious temperament. In the 1950s, a Maria Callas – Renata Tebaldi controversy broke out, reigniting the great operatic debate as old as the art form itself: beautiful sounds versus expressive sounds. 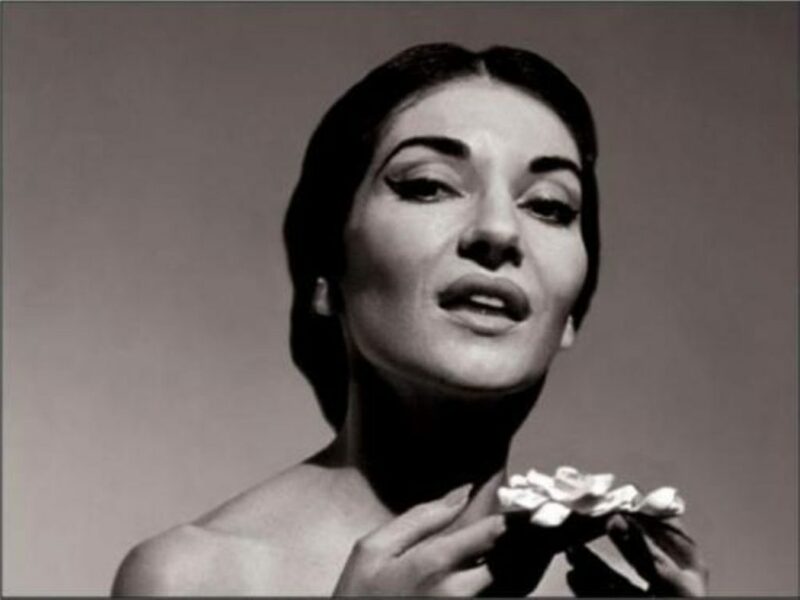 Callas was taken from the world far too early, passing away from a heart attack at the age of 53. She spent the last several years of her life living in Paris in isolation.